Because it's powered by compressed air, the Emaro endoscope can move smoothly and precisely, and the researchers said it can improve the safety of surgery with laparoscopes, a type of endoscope. Laparoscopic surgeries involve the insertion of long fiber-optic tubes through small incisions in the abdomen. Such minimally invasive operations leave smaller scars and can promote better recovery. The Emaro scope can move along four axes -- back and fourth, side to side, up and down and rotational. "The camera is fixed and won't shake like when it's held by a person, which can make the doctor feel sick," said Kenji Kawashima, a professor at Tokyo Medical and Dental University who co-developed the system. 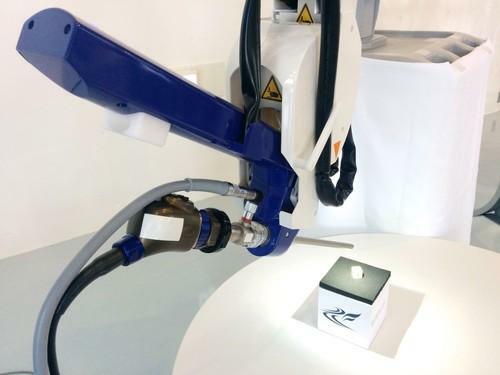 Kawashima said he and his collaborators wanted to create Emaro because Intuitive Surgical's da Vinci robot surgical system, which has been at the center of a boom in robot surgery in recent years, does not provide surgeons with enough force feedback during an operation. Emaro is the first step in creating such a more sensitive surgical tool with haptic feedback, he added.